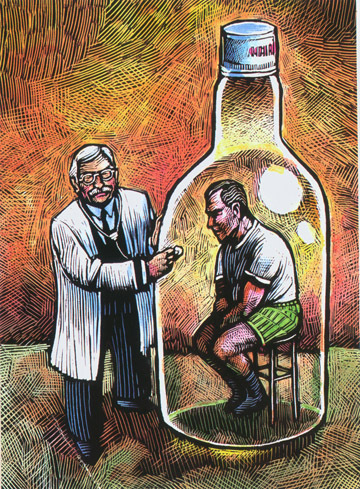 This illustration was for the American Medical Association, about treating alcoholism. The original artwork has since been misplaced, but I found this copy in one of the mailers that I sent out the following year. I also had a few other new clients this month of a ‘mouthpiece’ nature. I did a piece on baseball superstitions for the Lions Club magazine (I don’t remember this one AT ALL), and I got a spot assignment for the ABA Banking Journal.